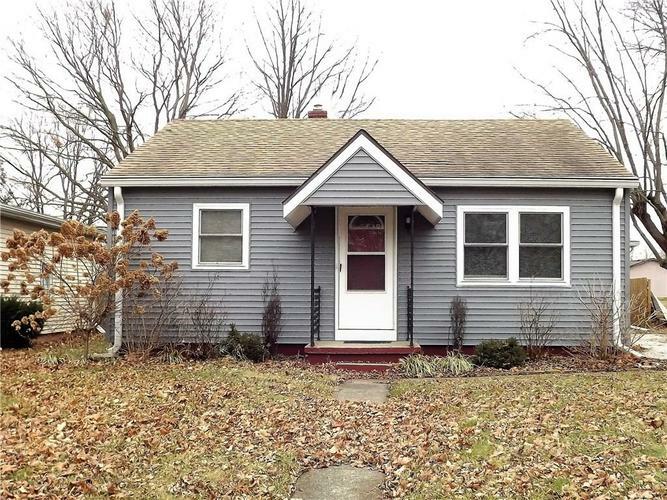 Affordable 3 bedroom 1 bath bungalow with basement on Crawfordsville's east side. Split floor plan offers master bedroom at back of home with two bedrooms and bath located opposite for the privacy you need! Spacious dining room with sliding doors that open up to large concrete patio for outdoor eating and entertaining all spring, summer and fall. Great yard with no neighbors at rear and attached one-car garage with additional driveway space for off-street parking. Listing provided courtesy of F.C. Tucker West Central.